tonight after we left the office, we rushed to the supermarket for some last-minute, last-chance shopping for supplies (beer, chips, etc) before everything shuts down for the next two days. we tell ya, because we hadn't been to the mall in like two months, you make all sorts of new discoveries when you go back. 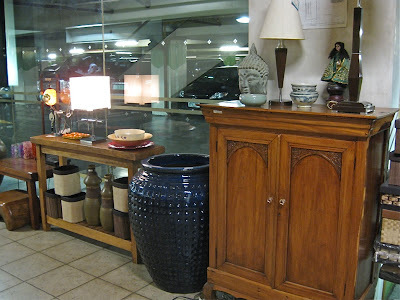 like this: when did rustan's supermarket open a home section in the basement parking of power plant mall? turns out it isn't owned by rustan's. 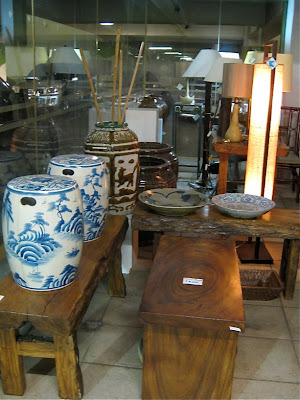 the "shop" is called efre's designers furnishing shop. 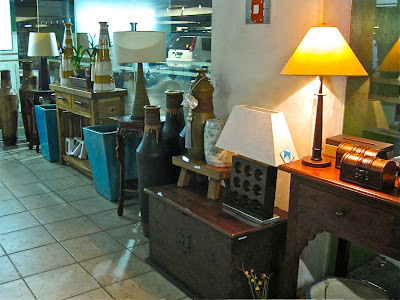 grabe ang rockwell, talagang ni-re-renta talaga every possible space. soon they'll have kiosks inside the elevators! 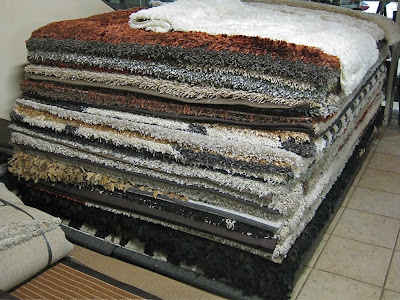 or maybe efre is just waiting for their real space inside the mall to finish construction. or waiting for someone to close so they can take over. or something. 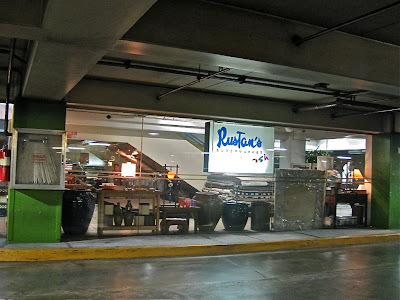 inside rustan's, the crowds and queues were not as bad as we thought it might be. lots of people, but the efficient cashiers were moving like well-oiled robots because we're pretty sure they too wanted to make the mad dash home and start their holiday. 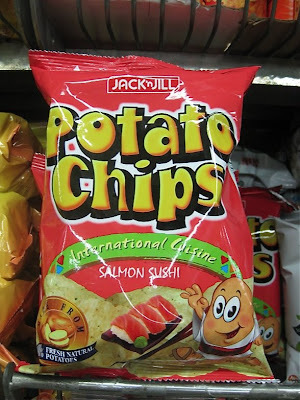 look at this new flavor of potato chips we saw on the shelves: salmon sushi, weird, 'no? they had a nori flavor too. of course we got both! we love salmon sushi, so this had better be good! 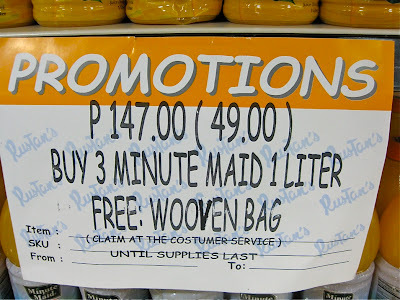 and look at this funny sign we saw at the minute maid pulpy orange shelf: hee-hee! have a good (and safe) holy week, everyone! i am loving minute maid now..
hi fashpack. i am happy you've been blogging again. i love reading your entries. well-edited. no just so-so stories. keep blogging.